Om Besco Rail Products Limited is engaged in the steel foundry business and manufactures castings like bogies, couplers, frogs and center pivots. It commenced operations in March 2015. OBRPL has an installed capacity of 18000 MT/Annum and its plant is spread over an area of 80 acres with a covered area of 15200 sq. m. This facility is an Indian Railways approved Class 'A' Foundry, certified IS12117:1996 by the Research Design and Standard Organisation (RDSO), Indian Railway, an ISO - 9001:2008 and ISO 14001 compliant facility. The company envisages future development and expansion of the facility to integrate railway freight car and passenger EMU manufacturing practices. 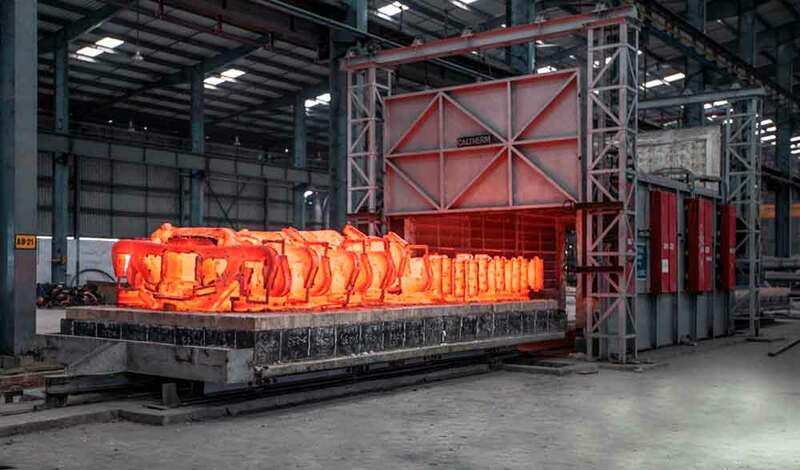 OBRPL has the ability to design, manufacture, and service Steel Castings of any specification for different applications by virtue of its in-house ingenious design team and evaluation and validation by a group of experienced, qualified, and dedicated specialists. OBRPL also has access to specialists abroad that empower keeping abreast with modern technology and stay well-informed on evolving technical requirements across the globe.